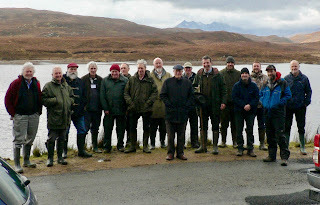 This second workshop was based at Sabhal Mor Ostaig, (the Gaelic College), on the Sleat Peninsula of Skye. Lady Lucilla Noble kindly allow us access onto Fearann Eilean Iarmain, her 23,000 acre estate on the Sleat peninsula, and Scott Mackenzie, the estate's gamekeeper, and his assistant Craig Jackson, acted as our guides for the day. Malcolm Younger, who is a member of the Moorland Forum's Muirburn Group, carries out advisory work on the estate and was also present. Sabhal Mor Ostaig provided excellent accommodation and first class catering facilities (it is highly recommended for a visit!). I welcomed the input from crofters at this workshop, as getting this input was the reason for holding one of the workshops in the north west. 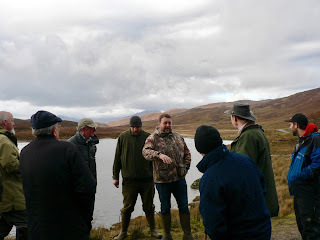 I was keen to stress that the principal aim of the workshop was to establish what people in crofting areas want from the Code. I see yesterday's discussion as the start of a dialogue that will aim to bring muirburn techniques up to date and make the Code relevant to all parts of Scotland. 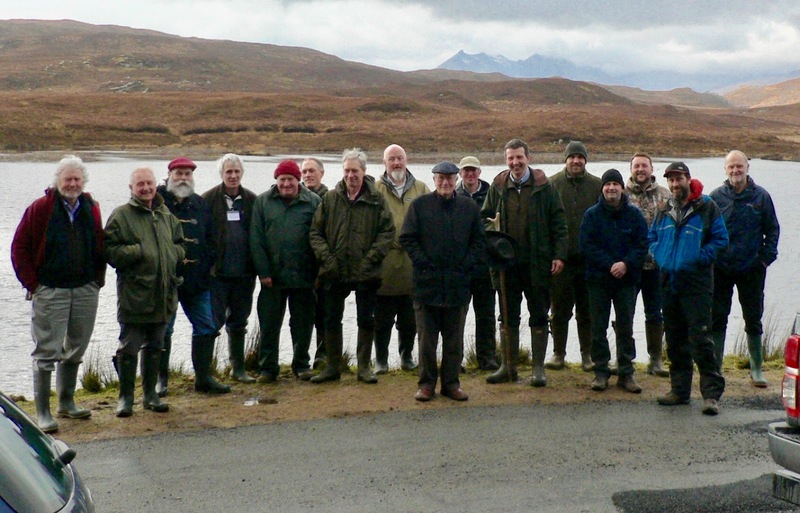 The revised Code must address crofting issues clearly. Move the Code away from being just a 'club to beat crofters with'. Facilitate better coordination and communications between the different interests. A risk based approach to decide the size of the fire and the number of people required to burn safely. A crofter employing bad practice to burn on common grazing puts at risk the payments from SGRPID to all shareholders. There was support for the production of a small guidance card, but some people did not think it would serve any purpose. Protection for otters and badgers. Protection for drinking water supplies. Funding for the establishment of a training or fire group. Promotion of the completed Code to those who do not want to engage. Neighbour notification requirements do not work well on common grazings. Loss of fertility, particularly phosphorus, associated with regular burning. The Code should be kept as short and simple as possible. The next workshop will take place at Edinglassie, Huntly on 21st February. The final workshop, to consider the feedback from the previous workshops, will be held at Battleby on 14th March.